A great soup for a warm summer day! 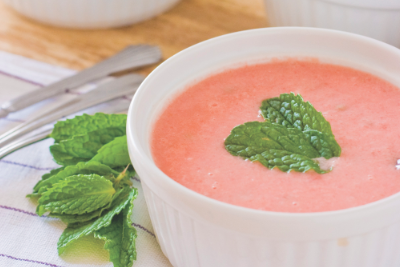 In a blender or food processor, combine watermelon, yogurt, orange juice, honey, and lime juice. Blend until mixture is smooth. Season as desired with salt and cayenne pepper. If necessary, adjust consistency of soup with additional orange juice.